Baby Driver star Ansel Elgort will play Tony in Steven Spielberg’s forthcoming adaptation of classic Broadway musical West Side Story, per THR. Elgort was cast as male lead Tony following a casting process that lasted nearly all year. Back in January, a casting call revealed that the West Side Story adaptation was casting a wide net for its Tony, with Caucasian performers ages 15-25 up for the part, and also that Spielberg would direct, with Angels in America playwright Tony Kushner adapting. Many expected Spielberg to go with a newcomer based on this casting call, with thousands of actors and dancers from New York, Los Angeles, Miami and Puerto Rico up for possible roles in the production. 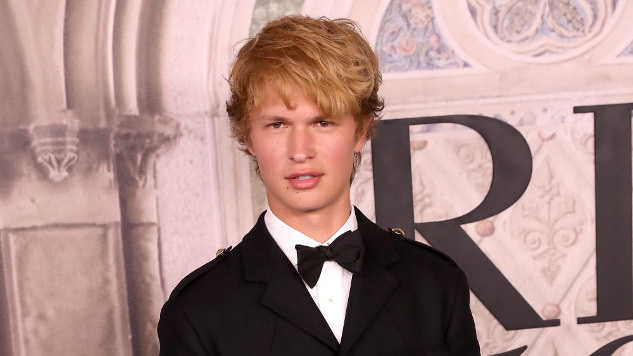 But Elgort, who broke out as the teen heartthrob in 2014’s The Fault in our Stars, ultimately landed the role. With its male lead locked in, West Side Story is now set to start production in summer 2019, once Spielberg wraps up filming on the fifth Indiana Jones, out next summer, with Harrison Ford returning. Spielberg will also produce with Kevin McCollum and Kristie Macosko Krieger. Up next, Elgort has a lead role in Donna Tartt novel adaptation The Goldfinch, out next October. Elgort, who also has a DJ side-project as Ansølo, is an … unexpected choice to come out of such an exhaustive casting process. He doesn’t come from a Broadway background, as most would have expected, and he’s was fine but mostly unremarkable as the lead in last year’s Baby Driver, perhaps his biggest credit to date among non-teen audiences. Spielberg is a proven starmaker, though, and there’s still plenty of parts we haven’t heard about yet.